Tom George has stated that God’s Own – last year’s third in the Queen Mother Champion Chase, is in ‘tip-top shape’ ahead of his quest to land a second Grade 2 Haldon Gold Cup. The dual Grade One-winning chaser looks like having his favourable ground conditions at Exeter on Tuesday, as he seeks to regain this limited handicap he first lifted back in 2014. (Credit: AtTheRaces) “He’s in great form, he’s not showing his age at all at home,” said George. 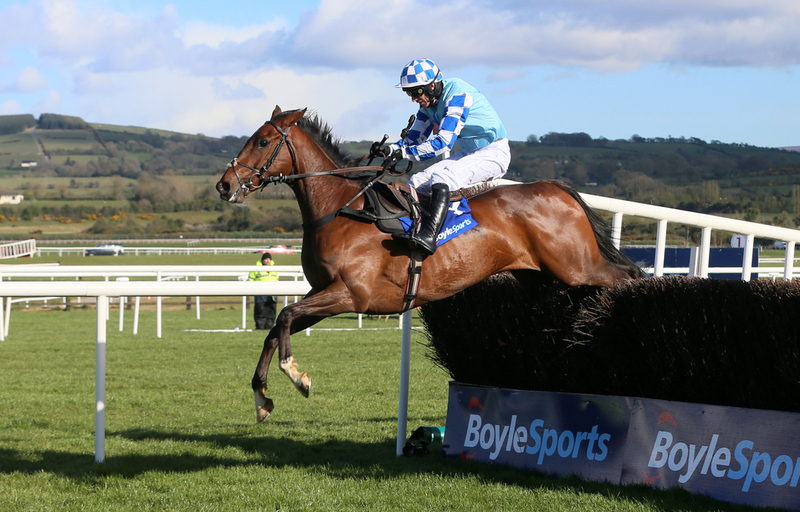 “It looks like he’s going to get the ground in his favour for the first time for a long time. “He was battling his way through heavy ground last winter which wasn’t ideal. He’ll enjoy being on a sounder surface. The 10yo – now very much a veteran, is thrown straight into the deep end against some very useful rivals. Ozzie The Oscar blew away the cobwebs with a good third to Silver Streak in the Welsh Champion Hurdle at Ffos Las last month. His trainer Philip Hobbs has been pleased with his 7yo’s progress, and is expecting another strong challenge. “He ran very well in the Welsh Champion Hurdle,” said the Minehead trainer. Paul Nicholls has two possibilties, with Diego Du Charmil and San Benedeto, as he seeks to win this race for a seventh time – while Dr Richard Newland, who has been in sensational form of late, saddles Theo to complete the quintet. Theo had a second stab in Grade Two company a fortnight ago, and finished a respectable fifth to the Bryony Frost-ridden Frodon in the Old Roan Chase at Aintree. “I’m excited about running him,” said his trainer - Newland. “He’s come out of his last race well. “He’s in big-boy league now, so he’s obviously getting the weight, but he’s against the best horses – so we’ll have to see how he copes with it. “I think this trip will suit him a better than the trip he was over last time at Aintree, which he didn’t quite seem to get home on. I think it’s a nice race and a nice small field. The bwin.com Haldon Gold Cup – a Grade 2 Limited Handicap Chase, takes place at Exeter at 2:05 thi afternoon.